N.B. I have a new website, and so does Emily’s walking book club. Please click here for all the latest info. Everything below will probably be rather out-of-date. 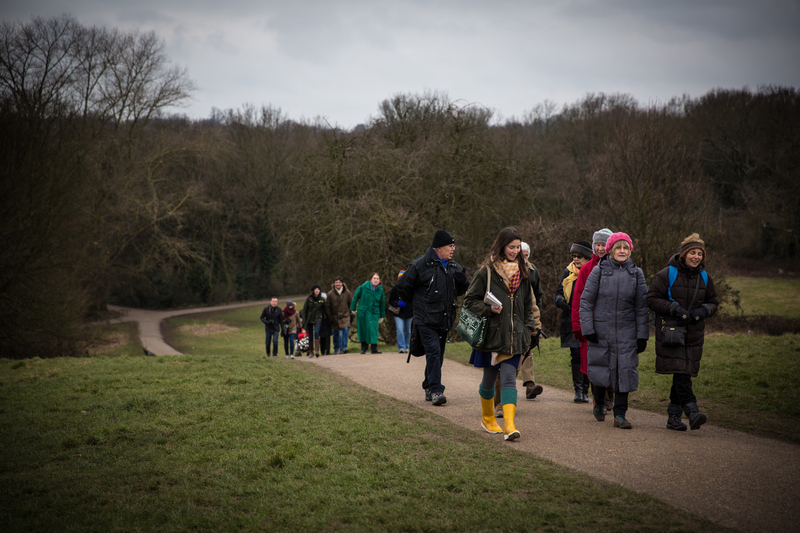 Emily’s Walking Book Club meets once a month on a Sunday morning, setting out from Daunt Books, Hampstead to go for an hour’s stroll across Hampstead Heath, while chatting meanderingly about a book. Here are some lovely photos from one of our early walks. The idea behind it is that it’s much easier to talk while you’re walking – something about the rhythm of it loosens your thoughts and your tongue too. Perhaps it’s also easier because you’re looking around at beautiful landscape rather than making stressful eye-contact. We were delighted to be recorded for Ramblings with Clare Balding, first broadcast on Radio 4 on 7th February 2013. You can listen again if you follow the link. If you’d like to read more about Emily’s Walking Book Club, here is a feature I wrote about it for The Spectator. New reader-walker-talkers are welcomed with open arms, so if you’d like to come along do get in touch using the form below and I’ll let you know the details of where to meet. You’re welcome to bring along dogs, friends or children and I promise it’s not in the least bit intimidating. Please bear in mind that the Heath can be extremely muddy (somehow I always manage to find an especially boggy bit), so please do wear sensible footwear. If you would like the details of timings and where to meet etc., then please drop me a line using the form below.